The well-placed glow of a small candle can do big things for warming up any room in the home. Investing in store-bought candle holders might be tempting, but with a little time and room for creativity, you can craft some out of clothespins. These easily accessible household products can do much more than grasp fabrics when given the chance. 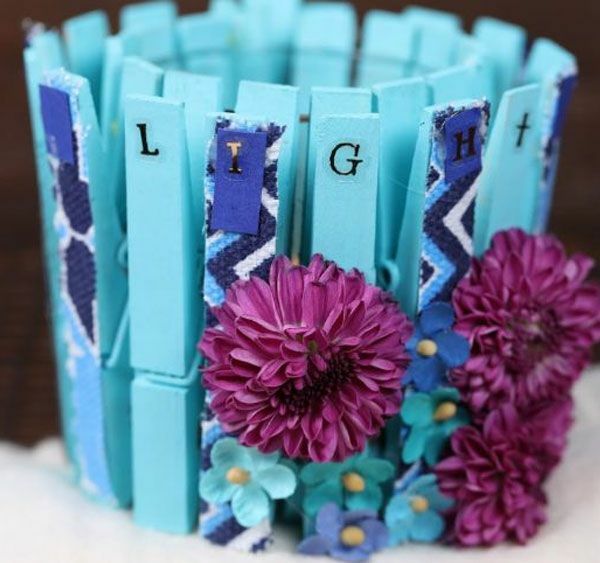 Adding some pastel paint and decorative accent fabric quickly turns a simple clothespin into a glamorous candle holder accessory. Options to mix and match paint colors and fabrics make the final product a personalized piece of art. 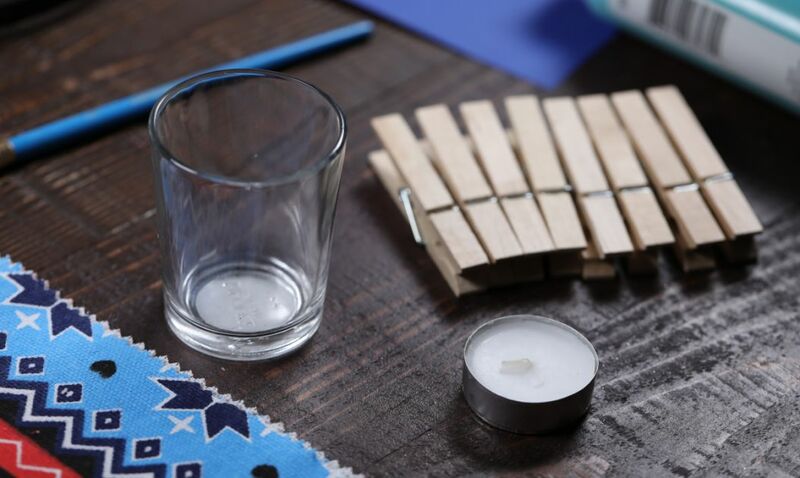 Crafting a clothespin candle holder doesn’t take long and is a wonderful project for adults and kids alike. 1. 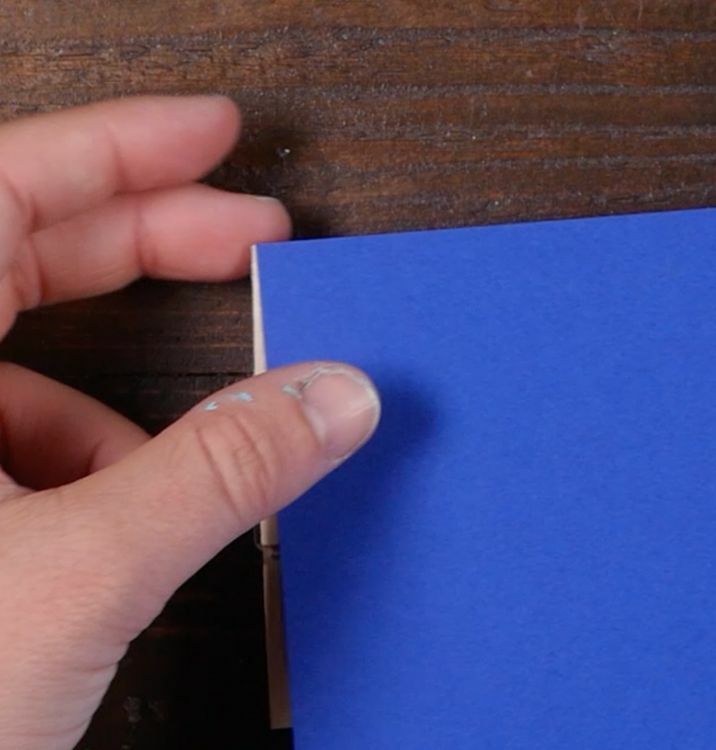 Squeeze a half-dollar size spot of light blue acrylic paint onto a protective surface mat. 2. 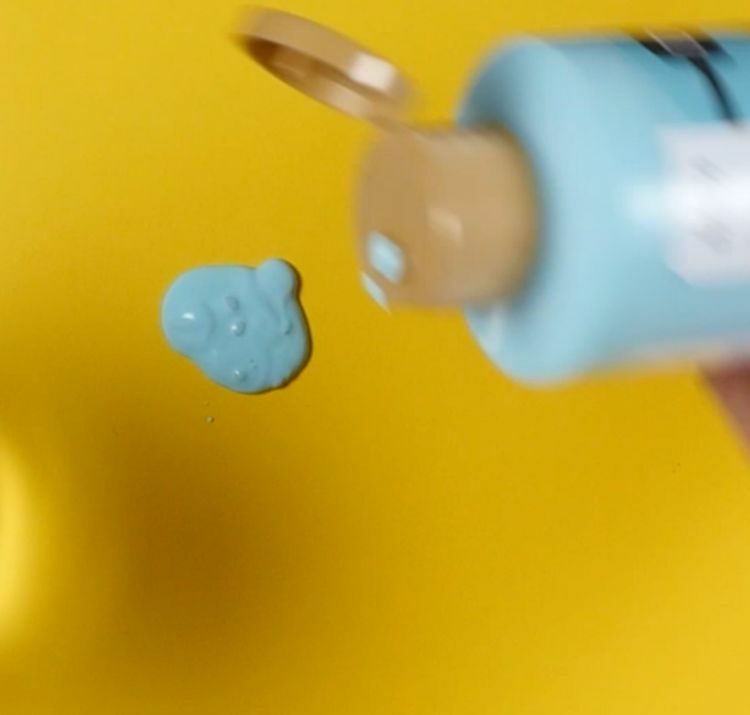 Dip a paintbrush in a glass of water and then into the blue paint. 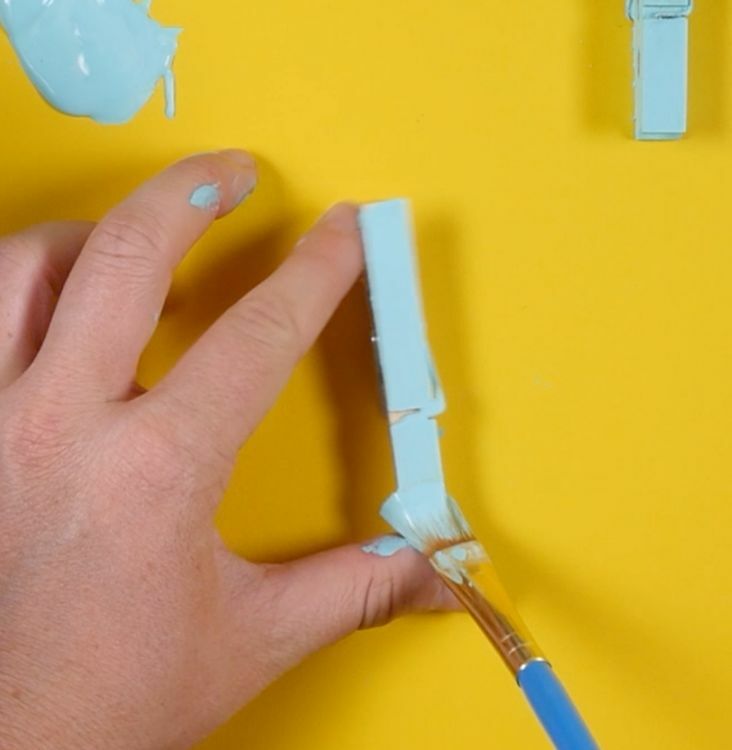 Paint the entire surface of a clothespin and allow to dry completely. Repeat with remaining clothespins. 3. 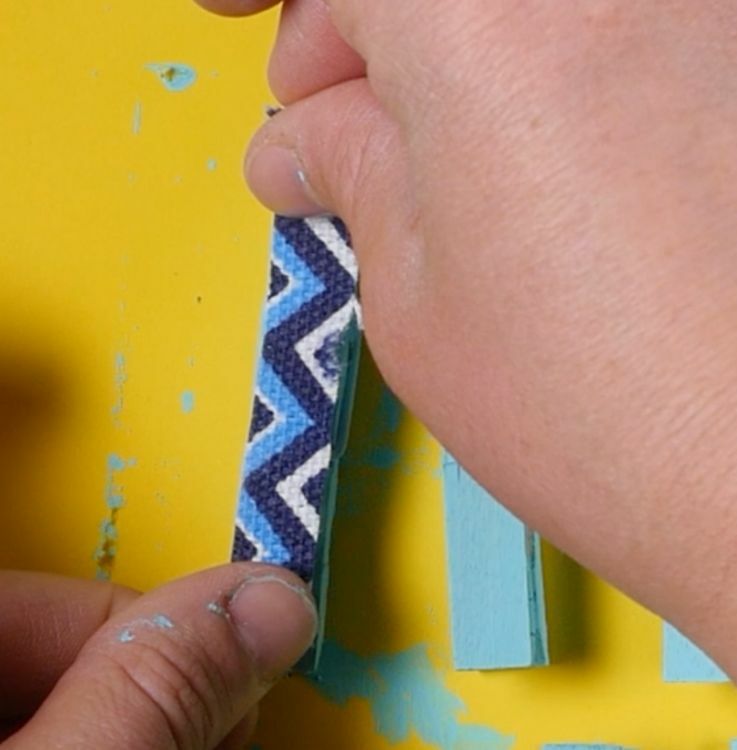 Line up the corner edge of the fabric with the edge of a clothespin. 4. 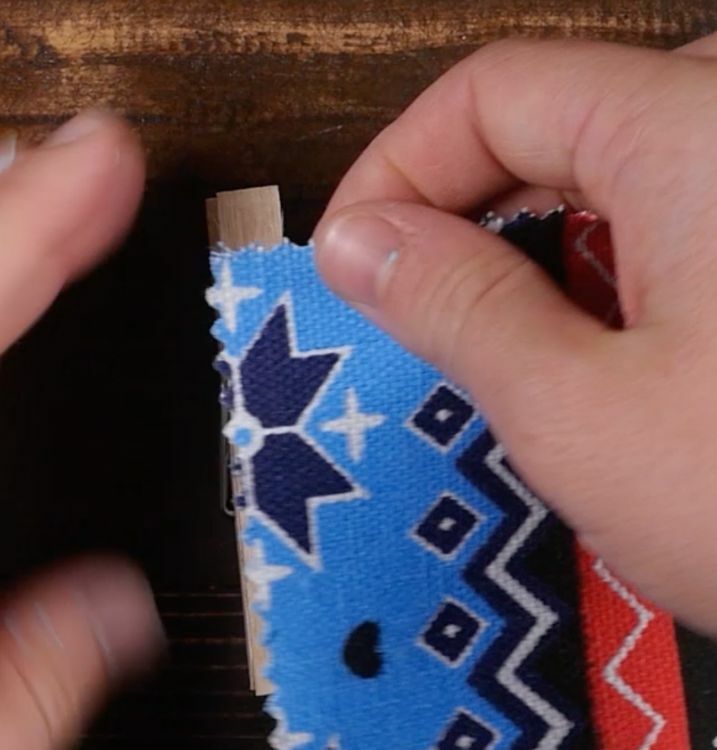 Cut the fabric to the length and width of the clothespin. Repeat with nine fabric swatches cut to fit the flat surfaces of nine clothespins. 5. 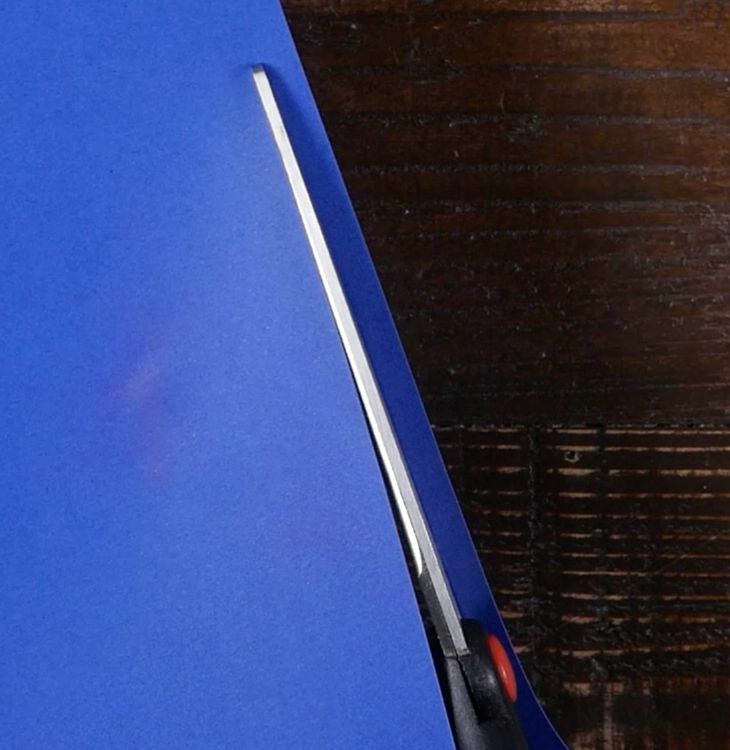 Line up the corner edge of blue construction paper with the long edge of a clothespin. 6. 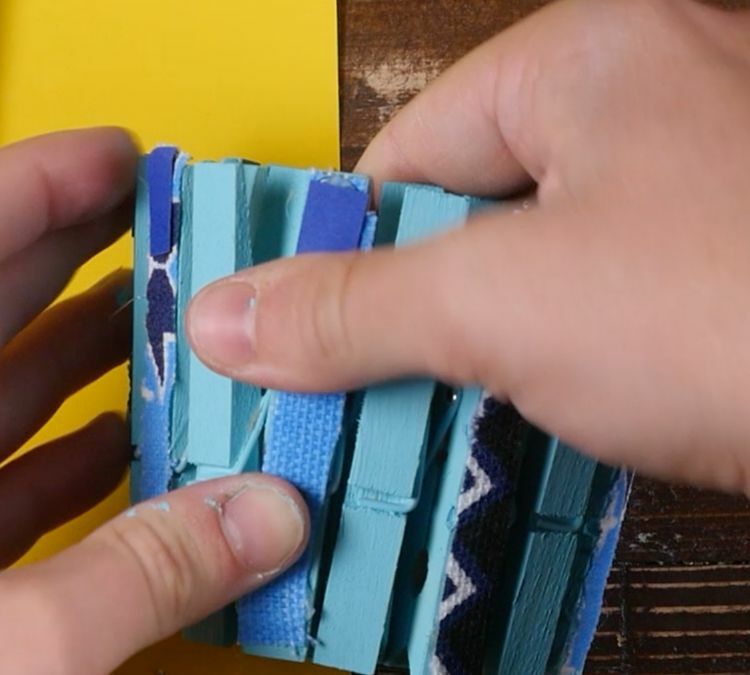 Cut a single piece of construction paper using the width of the clothespin as a guide. 7. 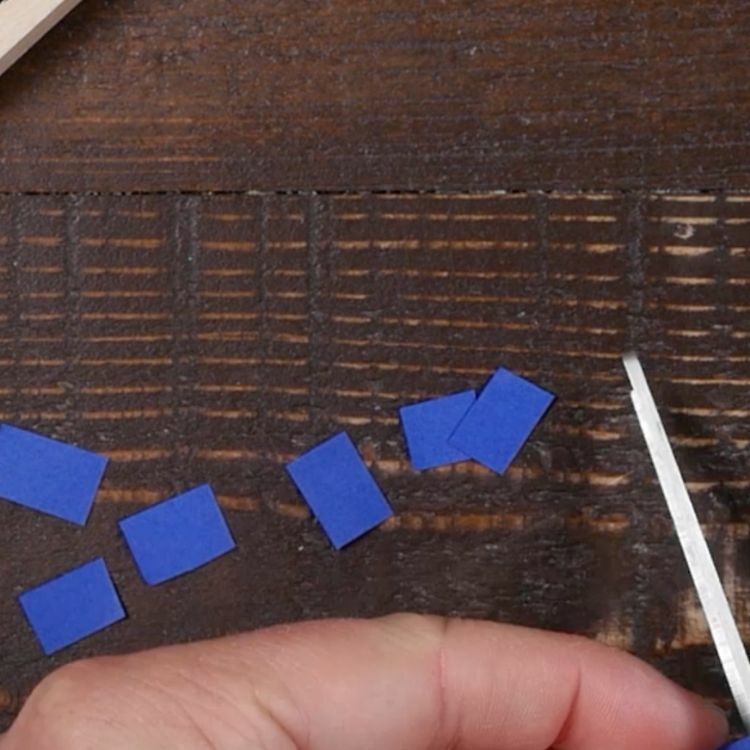 Cut the single length of construction paper into nine small squares that are the same width as the surface of a clothespin. 8. 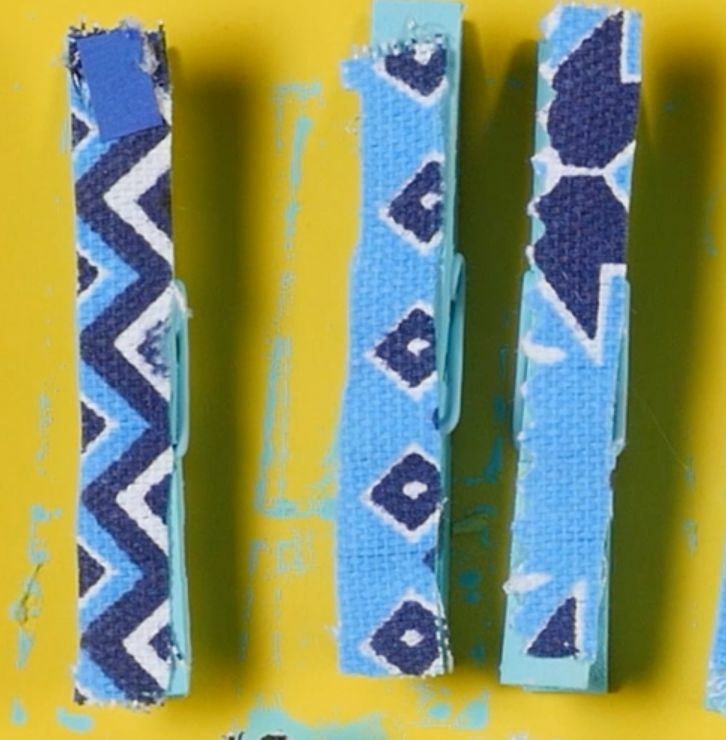 Lay a line of hot glue along the entire length of a blue painted clothespin’s surface and press one of the previously cut fabric swatches firmly to attach. Repeat for eight additional blue clothespins. 9. 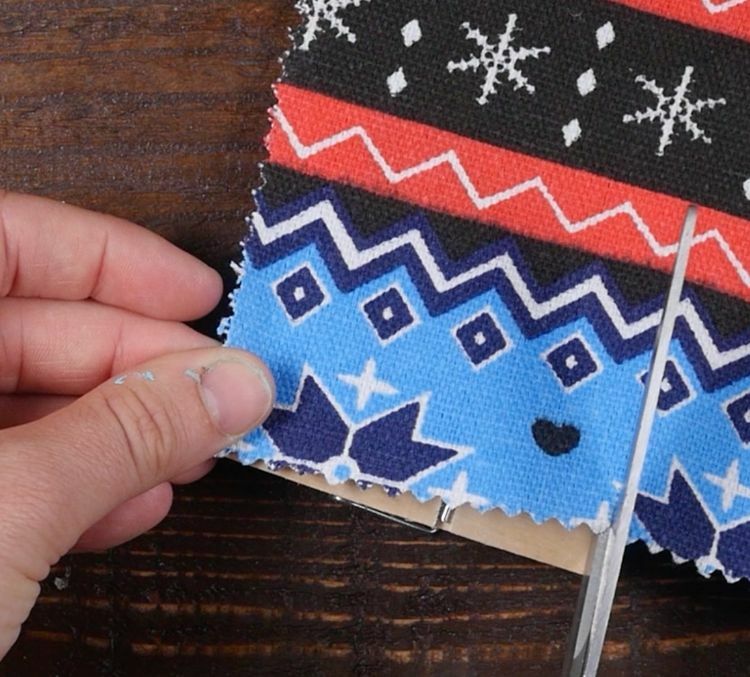 Glue a single blue construction paper square to the top edge of each of the nine decorated clothespins. The square will sit toward the end of the clothespin that would be pressed to open. 10. Line the length of a clothespin's back surface with hot glue and firmly press it to the exterior of a short glass. The bottom of the clothespin should be in line with the bottom edge of the glass, and a bit of the top portion should extend beyond the glass lip. 11. 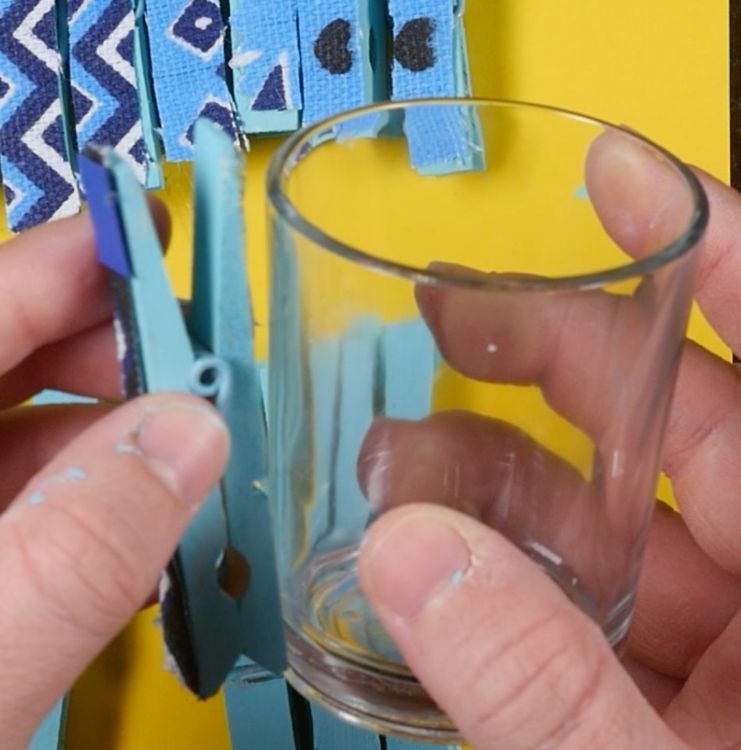 Line a plain blue clothespin with hot glue and attach it to the glass directly to the right of the first decorated clothespin. Continue attaching 18 clothespins, alternating between decorative and plain blue. 12. 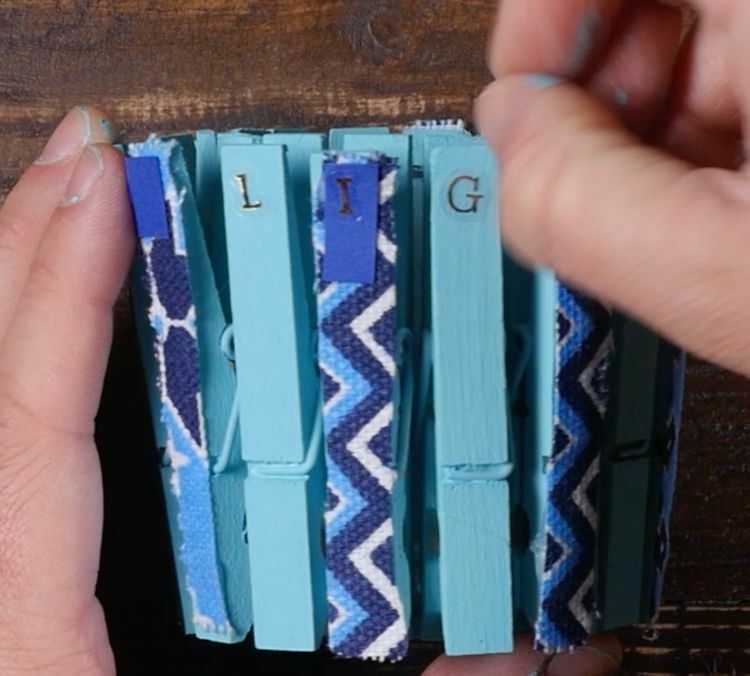 Press a single black lettered sticker with transparent backing to the top of each clothespin to create a word. For example, the word "light" makes a beautiful addition. 13. 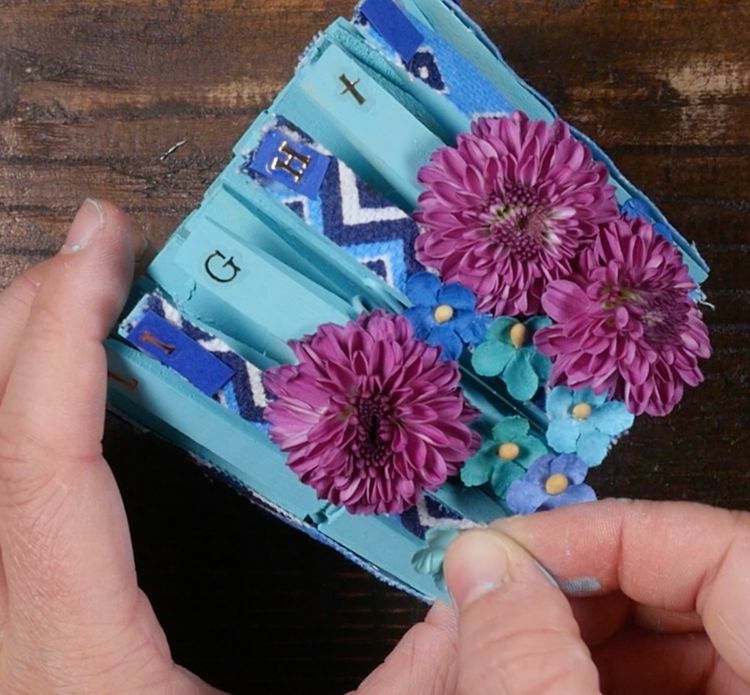 Hot-glue a cluster of three large faux purple flower blooms and six small violet faux blooms toward the bottom of the clothespins, below the lettering, in whatever pattern you like. 14. Place a small candle in the glass and light it to admire your new clothespin candle holder.